From grills to outdoor kitchens, Fire Magic has everything you need to create the perfect grilling experience. Their grills are all hand-made with great care and attention to detail, and they bring professionalism to every aspect of the crafting and selling process. 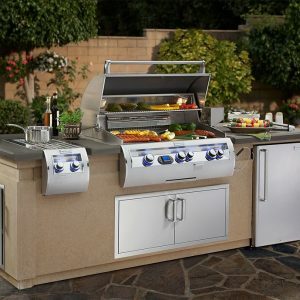 Contact us to learn more about ordering a built-in grill for an outdoor kitchen or a mobile, freestanding unit.